At home, the logical next dinner following roast chicken is chicken pot pie. Mom’s orders. Who am I to question years of logical cooking? Leftover chicken practically begs to be combined with gravy and vegetables. Its lil’ carcass gets cold in the fridge, all lonely next to the unfriendly cranberry juice cocktail. 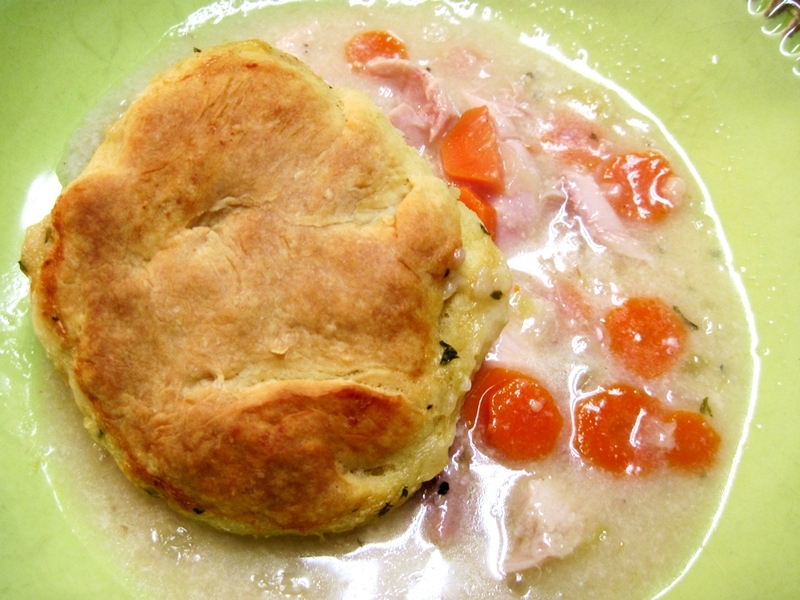 And, as I always enjoy a good food personification opportunity, sometimes it’s comforting to pretend that I am one of those buttermilk biscuits, steaming away in a bubbling mixture of Delicious Things. I’m quite certain that my recovery would be drastically expedited if I had a chicken pot pie hot tub. My birthday’s in a few weeks, FYI. 1) Heat chicken stock in medium sized pot. Add carrots, cook until a bit soft. Meanwhile, cook celery and onion with butter until softened. Sprinkle in flour. 2) Add celery and onion to pot. Stir in peas, add salt, pepper and parsley. Remove pot from heat. 3) Once the mixture has cooled slightly, stir in chicken and milk. 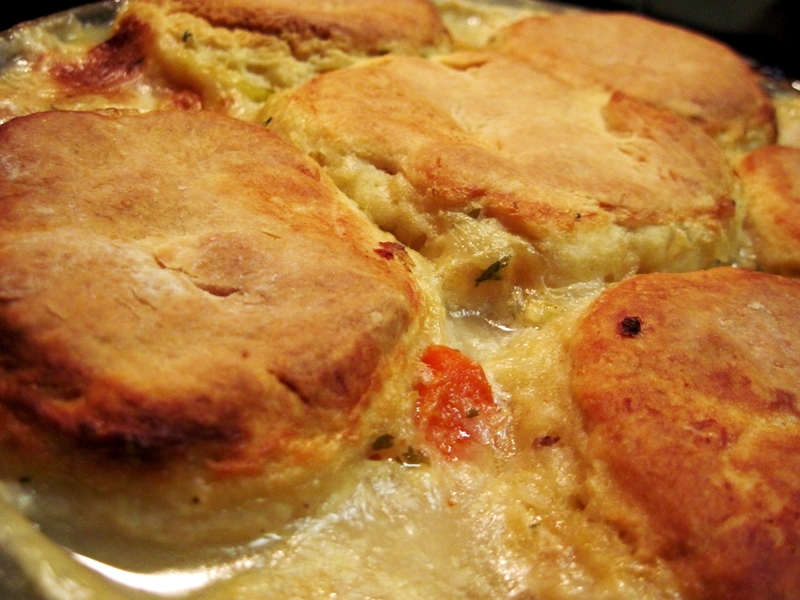 4) Pour into a deep-dish pie pan, making sure to leave room for biscuits to expand as they bake. 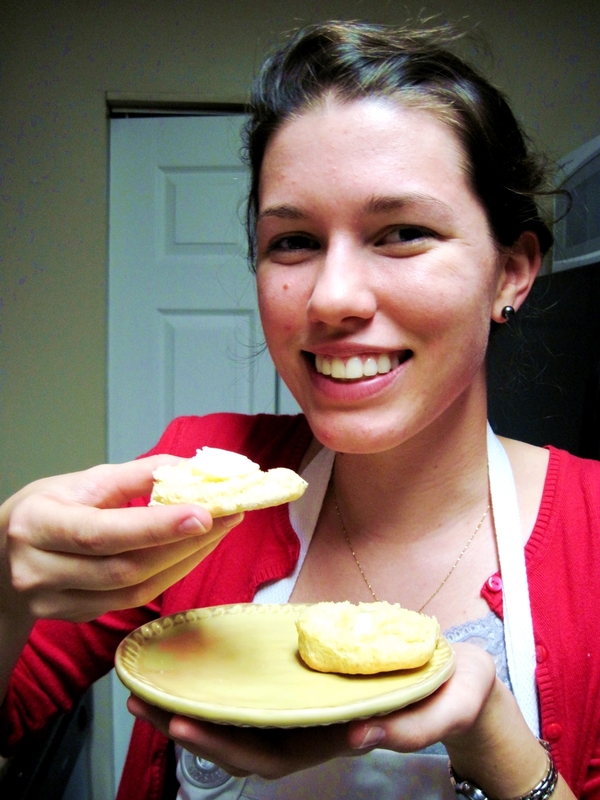 Drop in biscuits (see recipe below) or top with pastry dough. Place pie pan on top of a cookie sheet, in case your pie pan runneth over. Bake at 400 degrees for 20 minutes. 1) Combine flour, sugar, baking power, baking soda, and salt in a large bowl. Rub in butter cubes with your fingers until the mixture resembles fine crumbs. 2) Add the buttermilk until a soft dough forms. 3) Place the dough on a floured work surface. Knead slightly and flatten until 1-inch thick. Cut out biscuits with round cookie cutter or with the opening of a jar. Combine remaining dough and cut additional biscuits. 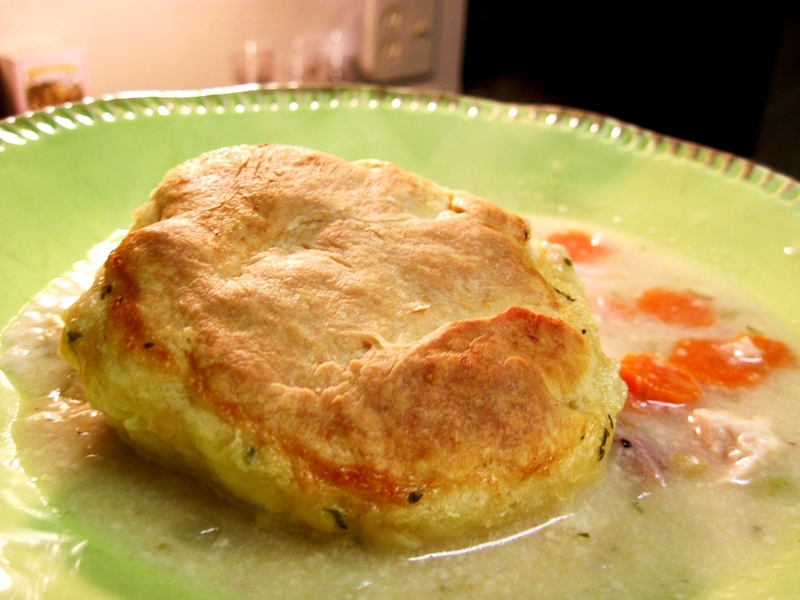 4) Place biscuits on an ungreased round cake pan so they all touch slightly, or, if adding to pot pie, gently place biscuits on top of pot pie mixture. Follow directions above for baking. 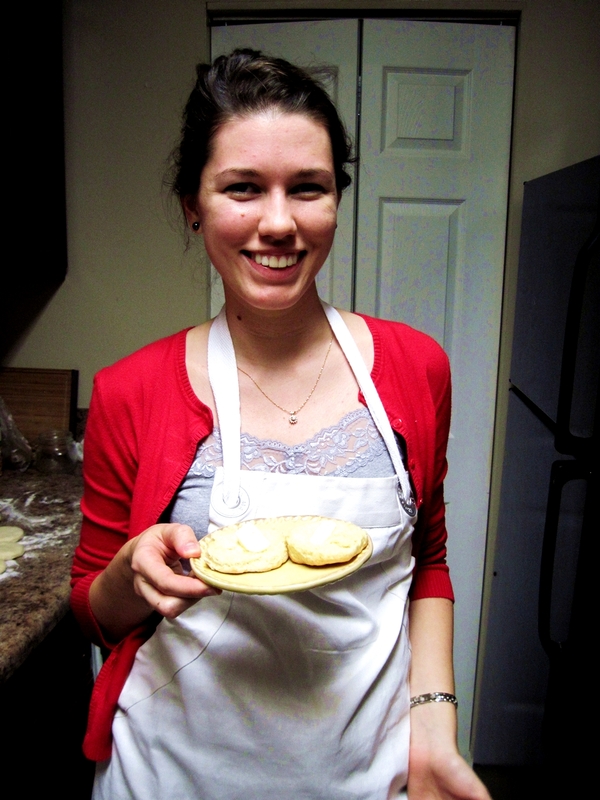 5) Bake any solo biscuits at 425 degrees for 15 to 20 minutes, or until golden brown. This entry was posted in bread, breakfast, poultry and tagged buttermilk, carrots, chicken, peas. Bookmark the permalink. 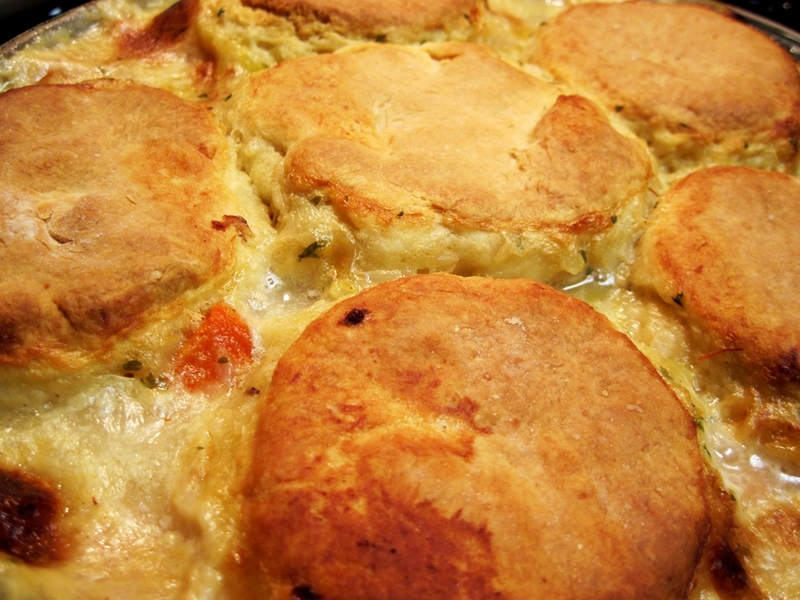 I am officially inspired…definitely making chicken pot pie this week! Andrea is so cute! 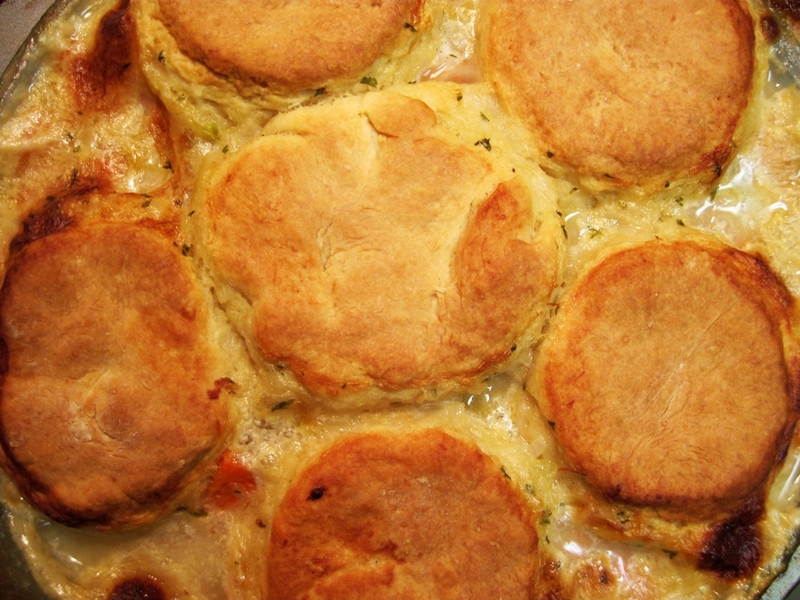 And that chicken pot pie looks divine… so hearty and homey.